Johnston County Building Industry Association, Inc.
Each spring, builder members of the JCBIA introduce the latest products and technologies, display popular trends in home design, and promote the American Dream of homeownership by participating in the Parade of Homes. 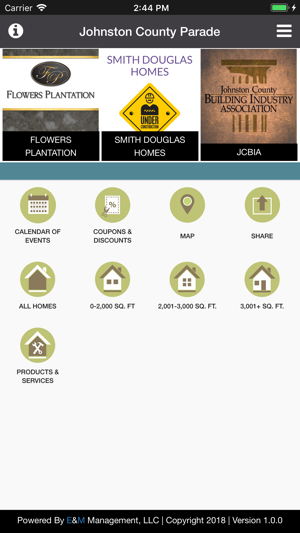 The Johnston County Parade of Homes is a 3-weekend event and all the homes are FREE to tour. 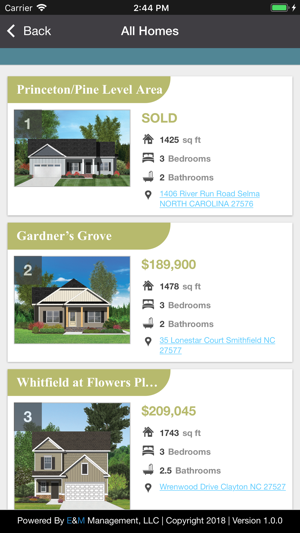 Whether you're in the market for your first new home or perhaps you'd like to move up to a bigger home...whatever your situation, you'll find homes that meet your vision and budget. House hunting made easy! The homes and advertisers will be showcased in the mobile app. - Browse home and business listings for photos, videos and contact information. - View the homes and businesses on an interactive map and get directions to the homes and local businesses. - Get details on BIA members involved in each phase of the home buying process. - Download coupons from local community businesses. - Follow and participate in the Parade with the Calendar of Events. 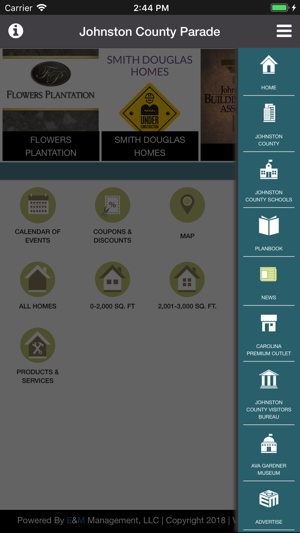 - Utilize the quick links offered in the side menu to quickly access information about the local community. 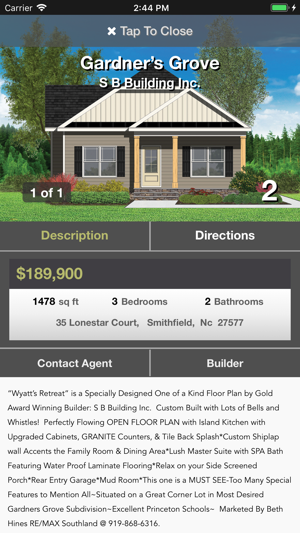 Visit the Johnston County Parade of Homes to see the latest products and technologies showcased in homes in your area.